Kimi Photography was featured by a bridal blog! My personal life has been a bit tough this year with quite a few ups and downs… My mother in Japan found out that she has a form of cancer. It is not fun to see someone you really care and love struggle with pain. 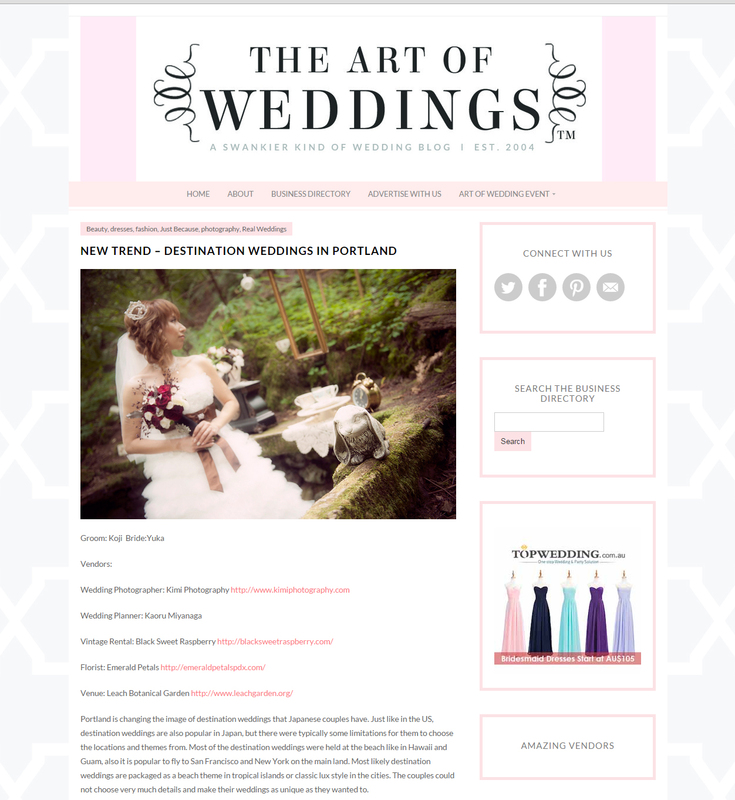 About the same time I heard from my mom, I got great news from Portland local bridal blog that they will feature my pictures and talk about my work with a Japanese Wedding in Portland. I think that the timing was just awesome. If I have to just deal with the down side of life, I could be so depressed! Also, I can appreciate the great news more coming from such a down. The pictures are from a wedding I worked on 2 years ago, but in the 2 years since, Portland has become more popular in Japan and a few couples came over to just have their destination wedding in Portland. In these few years, this couple became parents! They were so excited to have their wedding be featured and it makes me smile for the couple being published by the bridal blog in the US. I appreciate Art of Weddings! Special thanks to these vendors!